They Eat Culture: Cinema and Community. Since finishing my post graduate study in Edinburgh, I have moved back home to Preston, Lancashire. A year in Scotland’s capital meant a year of being spoilt for choice in regards to independent cinemas and movies. Coming back home to Preston always has one huge negative factor – there are no great cinemas. At this time of year, when award season is just around the corner and we are preparing for autumn and winter’s promising programme it is crucial to have access to decent picture-houses that show the films that avid film fans crucially need to see. Last year I managed to see roughly 90% of all the BAFTA Film nominees, making it a more enjoyable and engaging season. Back at home, my local multiplexes were showing 12 Years a Slave and very little else. We didn’t even get Saving Mr. Banks. In Edinburgh I was thriving off of Inside Llewyn Davis, Her and Nebraska. Thankfully, there is a cinematic treasure buried in the very heart of Preston; a company dedicated to the exhibition of and engagement with truly great cinema. They Eat Culture are an arts and culture production company dedicated to making film culture thrive in one of the county’s most culturally deprived locations. Based in the University of Lancashire’s buildings and heavily involved with The Continental, one of the city’s most exciting pubs, They Eat Culture is motivated to bring in local audiences, allowing them to experience something new and something very unique. They Eat Culture are currently running a project entitled Future Preston Tours; a season of science fiction cinema, screened all over the city. Following the success of screenings of Spielberg’s E.T and Pete Travis’s Dredd they are now looking ahead to an exciting screening of 80’s classic Tron. The screening event, taking place on the 29th November, will also include original and live music created by sound artists from the city as well as a computer game tournament and interactive performance. 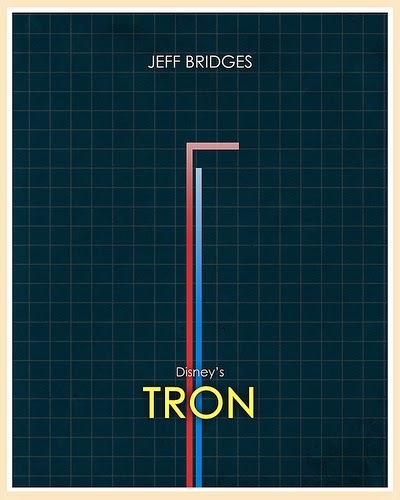 Tron is just one of many exciting things being put together by They Eat Culture. We’ll have to wait and see what else they have in store for the rest of the year. Whether or not you’re a science fiction fan or a film buff or just keen to get involved in some local art events that celebrate the people and venues of Preston, Future Preston Tours provides its audience with a new way of experiencing art and culture – allowing guests to be physically involved in the event which will be kicking off at Preston Bus Station. It’s all still a little mysterious and exciting and purchasing tickets is the best way to find out more information and find out the exact location of this exciting event. They Eat Culture demonstrate an eagerness to spark creativity in the communities of Preston. They are celebrating cinema and culture through their unique experiences and projects – Future Preston Tours is merely one example of this. A city positioned between Liverpool and Manchester, Preston seems to sometimes lack the culture and artistic endeavour that both Manchester and Liverpool are laden with. Companies like They Eat Culture demonstrate that there is a film culture and artistic scene present in Preston and they’re doing their best to bring it to the surface and to the attention of this city’s residents. Tags: Art, Art in the City, Cinema, Community, Community Art, Creativity, Culture, Event, Exhibition, film, Film Culture, Future Preston Tours, Installation, Movie, Preston, They Eat Culture. Bookmark the permalink. Previous post ← The Book of Life.